With tens of thousands of attendees flying in from across the US and further afield, the event’s organizers have had to move the venue to the larger-capacity Denver Mart in order to make room for so many delegates. 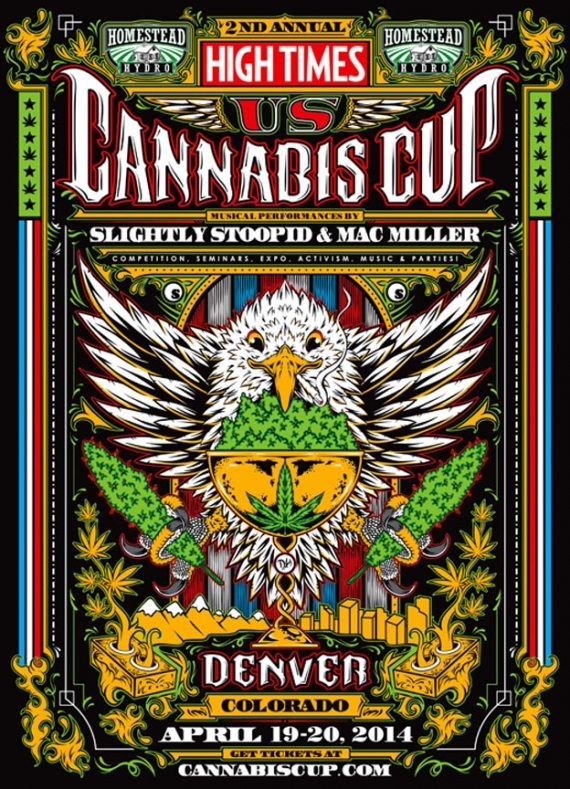 The Colorado US Cannabis Cup is part of a week-long celebration of the 420 lifestyle. Combined with the two-day business to business BIG Industry Show and the one-day Galleria, the event will be the largest of its kind in the world. With 30,000 attendees expected – nearly triple the amount who attended last year’s event – the combined show will be making history and ensuring that the 420 lifestyle is given the attention that it deserves in the eyes of the world. Beginning at the Denver Mart on April 16, the BIG Industry Show is the leading industry event for wholesalers, manufacturers and smoke shop owners. It has become the sector’s most important event for setting merchandize trends for the coming year and for face to face networking within the sector. Industry professionals will be attending across both April 16 and 17 to view the exhibitors’ wares and place their orders for the year ahead. On April 18, the Denver Mart will open its doors to the general public, who for the first time ever have been invited to attend the one-day Galleria glass art event. Celebrated glass artists from around the world will be featured at the show, with all creations on display having been blown specifically for Galleria. Artists will be available to speak with members of the public as well as business attendees, discussing their unique talent and the resulting creations, all of which have been designed to combine beauty and innovation with functionality. The five-day extravaganza will conclude with the US Cannabis Cup event, held on April 19 and 20. Featuring activism sessions, cultivation seminars and live music, as well as a fantastic range of merchandize for sale, the event will celebrate all aspects of the 420 lifestyle through its range of entertaining and educational activities. Celebrity supporters and leading figures in the promotion of the 420 lifestyle are due to be among the 30,000 strong crowd descending on the Denver Mart this April. The city will be thronged with people and those who don’t yet have their tickets are being encouraged to book as soon as possible to avoid disappointment. Accommodation in the city is likely to be heavily subscribed, but thankfully the organizers have taken the trouble to list available hotels on their website to ensure that everyone can find a place to stay. With such high attendance expected, the 2014 BIG Industry Show, Galleria and US Cannabis Cup are expected to mark a massive turning point for the 420 lifestyle industry and those that support it. At its new Denver Mart location, with five days of spectacular events all under one roof, the show is set to become an historic event in the unfolding tale of the world’s engagement with the 420 lifestyle.